What does the future of living look like to you? High-tech appliances might come to mind, like robo-maids, holographic TVs, or flying cars that fold up into suitcases. But if current trends are any indication of what’s to come, the future of living will revolve around something else – time. As we trade in spacious suburban homes for city lofts and condos, our priorities have shifted from material goods to experiences. Time is the new luxury. We see this with the evolution of the on-demand service economy. Uber, Dollar Shave Club, and Amazon Prime save us time and hassle so we can focus on the things we care about. This means our future living spaces must evolve as well. They should enable us to save time, not just store stuff. They should connect us to the world, not keep us isolated. In living spaces of the future, internet connectivity will be a utility for all – not an amenity for some – and intelligence will be built into the walls, not just plugged into an outlet. While smart home devices capture much of the public attention, we think the true future of living begins in the smart apartment. Apartments better serve our need for flexibility and convenience. They also give us that sense of community we all long for. But convenience and time arbitrage are just the beginning for smart apartments. When these buildings are hardwired for connectivity and community, they are capable of so much more. Smart apartments are more than just thermostats and voice assistants. Truly smart apartments are intelligent and connected from the inside-out. Smart Amenities. Smart apartment amenities include devices like smart lights and smart locks, as well as integrated services like home cleaning and package delivery. However, amenities alone do not make an apartment smart. Connectivity. 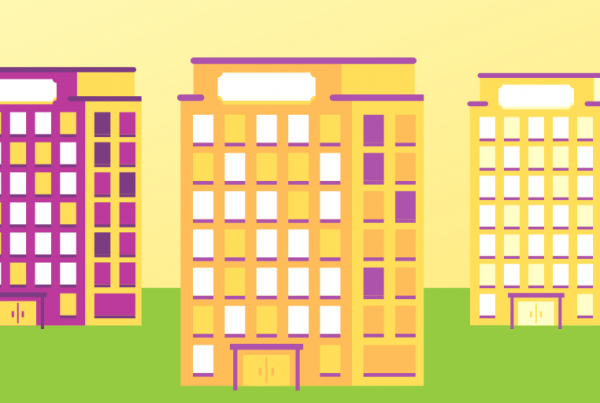 Smart apartment buildings are wired from the inside-out to connect devices, building systems, residents, and management. Community Management. Smart apartments create a better living experience for residents by incorporating services that save time, money, and hassle. In short, smart apartments integrate smart amenities, community management, and building automation systems (e.g. HVAC and Access Control) into one connected building system. This is not only possible with new construction; older buildings can also be retrofitted with smart apartment connectivity. Let’s look at each of characteristic a little more closely. Smart devices are the primary user interface for residents. The most common devices include voice assistants, smart thermostats, smart locks, and smart lighting. Smart apartments also offer on-demand amenities through services like Uber, Amazon, dog walkers, and house cleaners. Smart locks and remote access control make these services even more convenient and secure. Most “smart home for apartment” vendors are really just smart device vendors. As we’ll see, smart apartments need go beyond devices to create fully-integrated management systems. When a regular apartment complex is being built, contractors start by making two phone calls: One to the electric company and the other to the water company. For a smart apartment building, you will need to make a third call: the IoT company. Smart apartments are wired with connectivity from the beginning. It starts with installing an IoT network that connects building automation systems, management, residents, smart devices, and outside services. Connectivity includes WiFi, smart sensors, smart HVAC, smart access control and a system management dashboard. 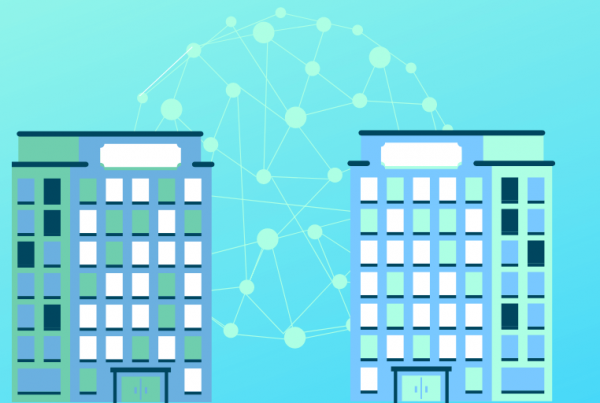 Connectivity allows property managers to collect data from the building as a whole, not just individual apartment units. This helps them make better decisions to run their buildings more efficiently and effectively. Smart devices will never replace the essentials of property management. Managers still need to collect rent, handle maintenance tickets, and manage packages. But smart apartments will help managers do more for their residents. 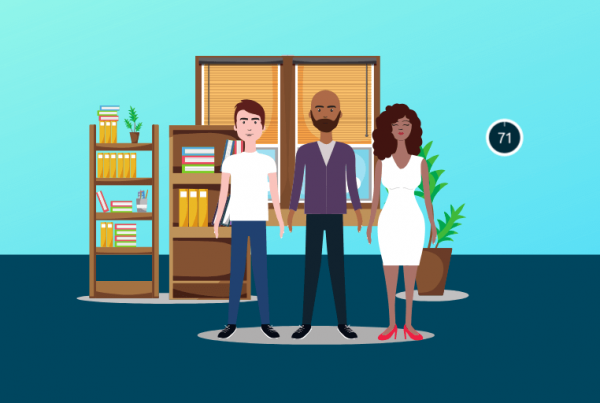 By integrating property management into the connected building network, they can spend less time on manual tasks and more time building their communities. Smart apartments have community management features built right into the platform. These could include event calendars, instant messaging, resident assistance, and on-demand property services from plumbing to dog walking. Property managers also have control over smart devices in the building. They can provide remote access to residents who lock themselves out, or set a minimum temperature in every unit during the winter. Smart Apartments: All Hype or the Real Deal? Segways were once considered the future of transportation. In the end, they turned out to be inconvenient, complicated, and overengineered scooters for mall cops. On the other hand, computers were originally thought to have few applications outside of science and academia. Yet here you are, reading this article on a device magnitudes more powerful than Apollo 11 Ground Control. Will smart apartments suffer the fate of the Segway, or reach the near ubiquity of computers? Goldman Sachs has said that Millennials are trading ownership for access, preferring services like ride-sharing over the burden of car ownership. The sharing economy gives Millennials what they need– rides, a place a stay, and practically anything else– while saving them time and hassle. Smart Apartments can enhance a resident’s use of the sharing economy by offering on-demand service marketplaces. Getting your unit cleaned has never been easier– find a cleaner on Thumbtack and give them secure remote access while you’re at work. Many smart apartment developers are embracing ride sharing with designated pickup space for Uber and Lyft. Smart Apartments save time and hassle in other ways too, like doors that lock automatically at night and smart thermostats that change the temperature based on the weather. This enhanced living experience for residents will demand higher rents and increase NOI for property developers. Smart apartments technology make buildings more efficient on two different fronts: energy management and people management. According to an ACEEE report, “intelligent efficiency technology” could save the commercial and manufacturing real estate sectors over $50 billion. Smart appliances are more energy efficient compared to analog appliances, but together they create even more efficiency through the entire building system. People also become more efficient and effective in a connected building. Property managers and staff spend hundreds of hours a year on maintenance and resident assistance. Smart locks make in-unit maintenance trips faster, more transparent, and secure. Smart apartments also give management better oversight of their staff and their activities. Thanks to increased building efficiency, smart apartments could actually spur more development of affordable housing. The National Low Income Housing Coalition published a report that found the US has a shortage of 7.4 million affordable rental units for Extremely Low Income (ELI) households. 72% are ELI households are severely cost burdened, meaning they spend more than half of their income on rent. These numbers are reaching epidemic proportion. Initiatives like rent control have tried to counteract the problem, but results have been mixed at best. Smart apartments lower the cost to build and maintain buildings, making the affordable housing market more attractive and lucrative. It might be our best chance and curbing this devastating trend before it’s too late. For developers interested in building smart apartments (or refurbishing an old building into a smart building), there are a few important principles to keep in mind. It might be tempting to buy a few dozen Nest thermostats or Amazon Echos and call your apartment complex “smart”. True smart apartments start with infrastructure. Connectivity will let you tap the full potential of smart apartment technology, including massive energy and people efficiencies. Smart HVAC systems and built-in IoT networks will soon be considered utilities like water and electricity. Cybersecurity and data privacy are two of the biggest technological challenges of our time. Smart apartments collect your residents’ most sensitive data, so it is paramount you keep it secure and use it responsibly. The best route for keeping data is secure is by using trusted IoT and smart device vendors. You also want to use a trusted platform that ties it all together (more on that in a minute). People today are starting to realize their data is valuable, and they are demanding more control over it. We should assume that more laws like GDPR will be passed around the world, giving customers a stronger say in how their data is used. For property owners and managers, the best route is to make residents “opt in” to smart apartment technology. Properties can go a step further by offering residents easy access to data privacy controls. Smart apartments need a single platform that ties together property management, community management, building automation, and smart home devices. This unified platform is the key for easy control over such a complex system. It makes your staff more efficient and provides a seamless experience for residents. There are very few property management services that offer a unified smart apartment platform. Other services– like those offering “smart home for apartment” features– only install smart devices like lights and thermostats. These might be shiny new features today, but they will soon be table stakes. Smart devices will eventually become obsolete. 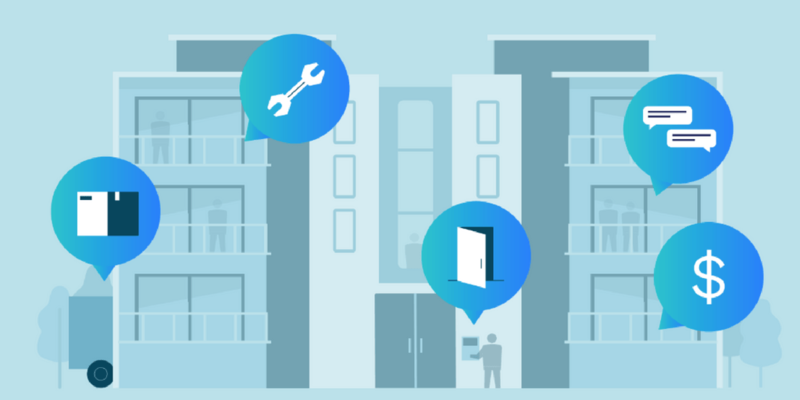 The only way to future-proof your apartment complex is by pairing connected building infrastructure with an open, upgradeable building management platform. Smart apartments aren’t just the future; they are here right now. Residents already prefer smart home amenities over traditional appeals like pools and spas. Smart HVACs and appliances already save property owners around the world millions of dollars a year. Platforms like Homebase already tie these elements together for multifamily buildings, creating truly connected smart apartments. We face serious challenges ahead, from affordable housing shortages to climate change. Smart apartments can help us put a dent in both. It’s more than having a voice assistant in your kitchen. Smart apartments represent a fundamental shift in how we live.